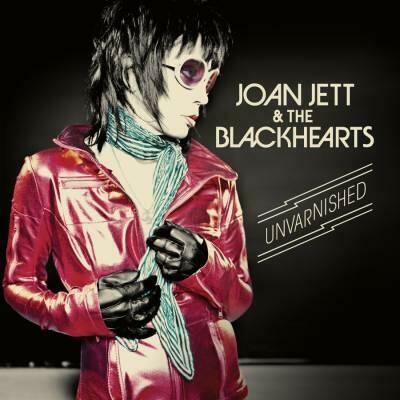 Joan Jett recently released her 13th album, ‘Unvarnished,’ her first record in seven years. Ultimate Classic Rock, Diffuser.fm, Loudwire and Noisecreep have teamed up with Jett to give one lucky winner a guitar signed by the rocker. The black guitar — an Epiphone Les Paul Special II — features a mahogany neck and body. Best of all, it also includes a Joan Jett signature. Jett’s new album with the Blackhearts, ‘Unvarnished,’ came out in September and includes 10 songs pulled from the same place that fueled classics like ‘Bad Reputation’ and ‘I Love Rock ‘N’ Roll.’ You can check out the video for ‘Any Weather,’ the album’s first single, below. You can purchase ‘Unvarnished’ on iTunes and Amazon. For your chance to win, follow the instructions on the widget above. Sharing your entry across Facebook and Twitter platforms will give you more opportunities to win. The contest ends on Dec. 16, 2013, at 11:59PM EDT. Be sure to read the official contest rules, and good luck! The giveaway is “open only to individuals who are legal residents of the 48 contiguous states who are 13 years of age or older (18 or older if a resident of Maine).” – Read the rest of the contest rules HERE. This entry was posted in Contests and tagged Joan Jett, Loudwire, NaBloPoMo, Noisecreep, Ultimate Classic Rock, Unvarnished. Bookmark the permalink.